Tonight Julianne made spaghetti squash Italiano for dinner. She took the spaghetti squash and cut it in half, placed it in a pressure cooker for 10 minutes, and then shredded it once it was cooked. 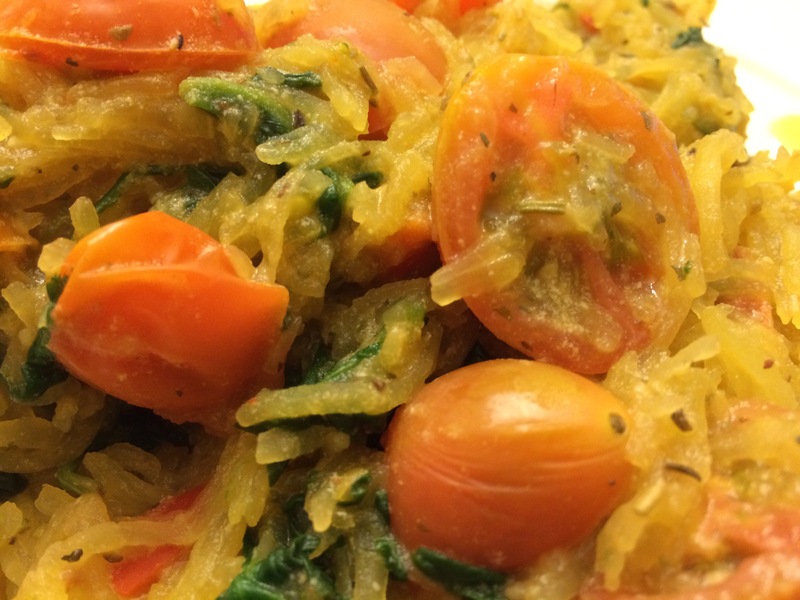 From there she stir fried spinach, red bell peppers and garlic, then added the spaghetti squash, tomatoes and nutritional yeast to give it a cheesy flavor and the topped it off with some savory Italian herbs and spices. I honestly was not too excited to eat spaghetti squash tonight, but this is surprisingly tasty!